Surprisingly few great CD transports have surfaced over the years, and you have to wonder why. Until computers showed up they were pretty much the only way of getting digits into your DAC, so they did – and still do for many – have a pretty important role in life. Still, there are some companies which have taken them seriously, and TEAC is surely the most prominent. 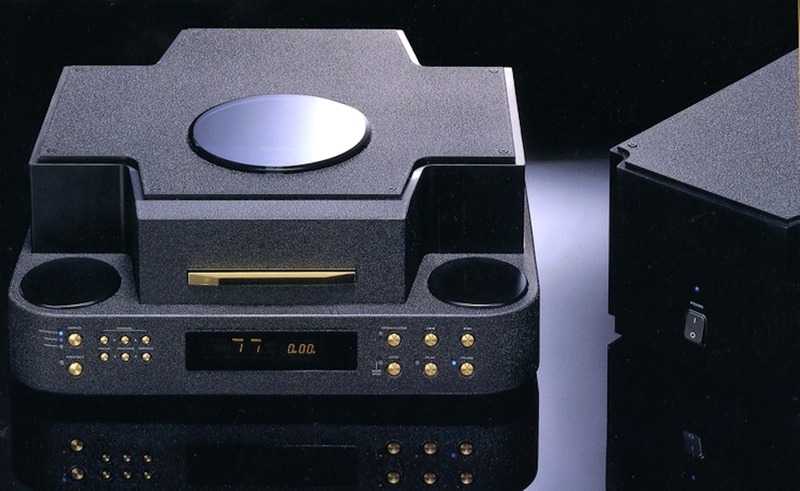 As well as making CD-ROM drives for the world in the nineties, the company came up with a very tasty audiophile disc transport called VRDS (Vibration-free Rigid Disc clamping System). Rather than buying a Philips, Sony or Sanyo mechanism in for its CD players, TEAC’s own mechanism gave the company a higher degree of quality control. One of three levels could be specified made from either metal, metal-carbon composite hybrid or plastic. TEAC not only put VRDS into its own CD players, it sold its mechs out to the likes of Wadia and Spectral – impressive marques that took spinning discs very seriously. They also went into its high end ESOTERIC range which was (and is) to TEAC what Lexus is to Toyota. The ESOTERIC brand sells well even today, when you’d think CD’s star is no longer in the ascendent, and also sells hybrid SACD designs too. For me, this is the most interesting product the company has ever done. The P-0 is a breathtaking ultra high-end machine which sold for 1,200,000 Yen in 1997 (around £10,000). Many believe it was – and still is – the most serious device ever invented for getting get ones and noughts from a Compact Disc. Nothing I know has ever read those bits with such precision, thanks to its combination of seminal engineering and incredible configurability – it even offers user-adjustable laser focus, for example! The P-0 was a two box system, and massive. The main (445×178×530mm) unit sported a 30kg aluminium sand-type chassis which was said to eliminate as much vibration as possible, and this sat on four special isolating feet. Naturally, the top aluminium diecast VRDS mech was fitted. The (220×178×439mm) power supply unit used three transformers (for the output electronics, the servo/mech and the display), and these were completely separated from the main body – like the main unit it was very heavy at 17.2kg. The P-0 sported one BNC, XLR, RCA and ST output. Three variants were offered during the life of transport. The standard P-0 output at 44.1kHz, although there was later a P-0 VUK upsampling version offered. The P-0s was a light rework of the original machine. It sounds stunning, with the ease and openness of high speed analogue master tape, allied to incredible detail and a bass that seems to come from the very centre of the universe itself. Music flows in a way that you simply don’t expect from 16/44 Red Book CD, and it has a three dimensional quality that’s the match of some of the finest I’ve heard from 24/192 digital fifteen years after the P-0 was produced. If you were ever in any doubt that CD transports have a dramatic effect on the sound of Compact Disc, the P-0 will make it crystal-clear. It is sad that products like this aren’t made any more. It was the high watermark of CD, just before attention turned to the new and seemingly sexier digital formats of SACD and DVD-Audio. P-0s are very hard to find, and don’t stay on sale for long when they do surface. For for lovers of Compact Disc, they have to be regarded as the ultimate source of digital data. In my view, nothing compares. Recently I am lucky enough to own a P0s VUK(original with blue light), it sounds just wonderful. It takes me a decade to find this. I myself own a Mark Levinson 31.5 & Wadia 7. They all sounds differently. Hi. I also own a p-0. Can I ask which DAC would match best with it? Thank you.